When it comes to attracting and retaining truck drivers, over half of all trucking companies are now offering sign-on bonuses, and that number was zero in 2010. Part of the allure of a sign-on bonus is easy money for the driver, but in most cases, the driver will need to commit to a certain amount of time with the company as a part of the deal. While this sounds good on paper, in practice, it might not be all as it seems. The problem here is that you’ve forced a driver to commit, and even if he or she becomes disgruntled and wants to leave, the threat of repaying the sign-on bonus will be hanging over his or her head. At that point, you’ll have an employee who is simply sticking around because he or she has to, not because he or she wants to. This can then result in lowered productivity, poor customer service, and a hit to your bottom line. Instead of a sign-on bonus, consider offering benefits, like technology, in order to entice new drivers to join your company. Things like cloud-based devices, such as tablets, in the cab, can be a bigger draw than you realize to younger drivers. Does your company offer drivers a sign-on bonus? Are you concerned about the potential for damaging driver relationships? Leave your comments below to sound off. 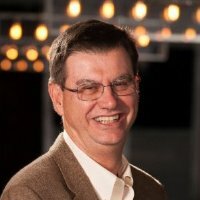 Chuck Melton is a pioneer in the transportation technology field. Founder of one of the early PC-Based trucking software companies - Integrated Transportation Software in 1984, he developed one of the first links to satellite-based on-board systems including Qualcomm's (at the time) OmniTracs system. He sold the assets to Qualcomm and has managed a successful software company for over 30 years serving trucking companies across the nation.